For whatever reason it seems as if trail running is the new thing in the VOC crowd. Maybe we’re all too scared of dangerous things like climbing cliffs and paddling raging whitewater? In any case, it is a great sport for accessing long days out in the mountains and covering lots of distance over condensed time periods. 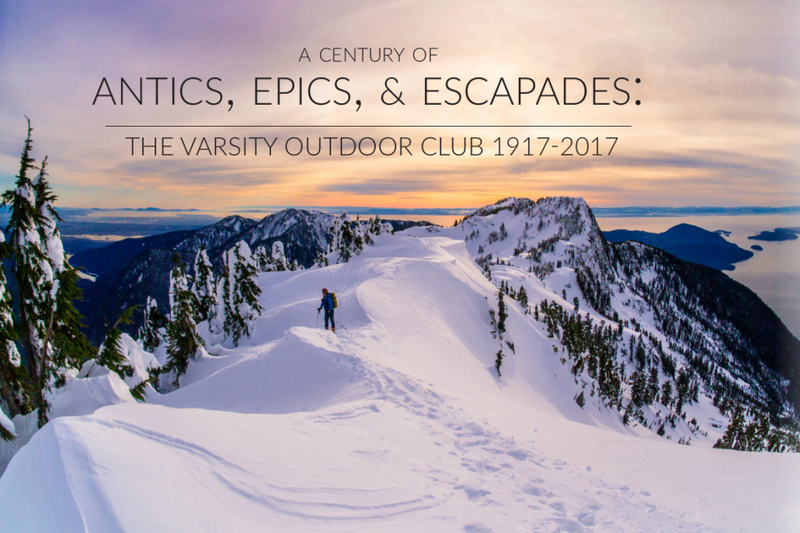 2019 seems to be a particularly busy trail-running year for the VOC, with not one, but two ultra-marathons scheduled for the summer on the trip agenda, and of course the Rubble Creek-Cheakamus Lake run next September that Hannah Jensen and Michael Stone have been running for many consecutive years. Lots of opportunities to get out there and run! The present trip, the “VOC half-marathon trail race”, kicked off for this 2019 VOC trail series. The trip was originally organized by Artem Babaian, and in lieu of the mountains took place in our very own backyard at UBC, on trails in Pacific Spirit Park. Out of a long list of 30+ ‘interested’ folks, the final group ended up with a small crew of 5 including Mathieu Goubier, Sophie Berger, Noah (Mat’s friend), Nicholas Leach and I. Even Artem had to bail, unfortunately, due to last-minute illness. I suspect the ridiculously early start time of 6:30 AM did not help with improving attendance. Why such an early start for a casual urban run in Pacific Spirit!? Unfortunately, my attempts at delaying the start time were unsuccessful with this group of keeners; sure enough, we were gathered at our meeting point outside the Forestry building before sunrise. Nick had taken over trip organization in Artem’s absence and did a wonderful job, even printing out maps of the convoluted route for us to follow. Now a brief word on Nick: I’d never actually really met him in the past (save a brief encounter at the 2018 VOC annual general meeting), but he is extremely familiar to me because pretty much every time I pass through Pacific Spirit I see him out running, typically with an extremely nimble gait and holding a furious pace. Nick may not know this, but his face has been familiar to me for many years now, and I suspect he actually lives in a burrow under a snag in Pacific Spirit, and spends all of his time running on the trails instead of his purported occupation as a graduate student at UBC. Needless to say, I was a little worried with the given trip leader, our trail running pace would depart from my usual very casual hobble. Fortunately for me, with only five participants, the trail “race” concept quickly devolved into a casual group “run” with a very moderate pace. To be fair, this echoes my previous experience in all VOC trail “races”—and that’s okay because that’s what I prefer anyways. In good UBC-fashion, we kicked off the run at the UBC fountain on Main Mall, running down to Wreck beach and along the beautiful waterfront where seals bobbed up and down, eventually linking with Admiralty trail on the north side of Pacific Spirit. We then traveled south for a while, all the way to the trails near SW Marine drive before looping back to the water fountain where it all began. All the while nice conversation was had, and Nick did a great job of helping us (mostly) stick to the convoluted twists and turns to keep us on the 21.1 km route that Artem had mapped out, and making sure we regrouped at key intersections so as to not lose anyone. A special kudos goes to Sophie: it was her first ever VOC trip! She did struggle a bit with a sore knee towards the end, so I hope that it gets better and that she may keep running and join more VOC trips in the future too, maybe even some that get a bit further out in the mountains. Sophie: You should check out the Rubble Creek run in September! Thanks to Nick and Artem for putting this on, and it was a great way to start a Saturday! While I grumbled about the early start time, it’s nice to have had a full workout done by 9 AM and get onto to other business. Nick will soon be off to compete in the sought-after Boston Marathon, so we will wish him luck as he breaks out of his midden in Pacific Spirit and dazzles Bostonians with his running. 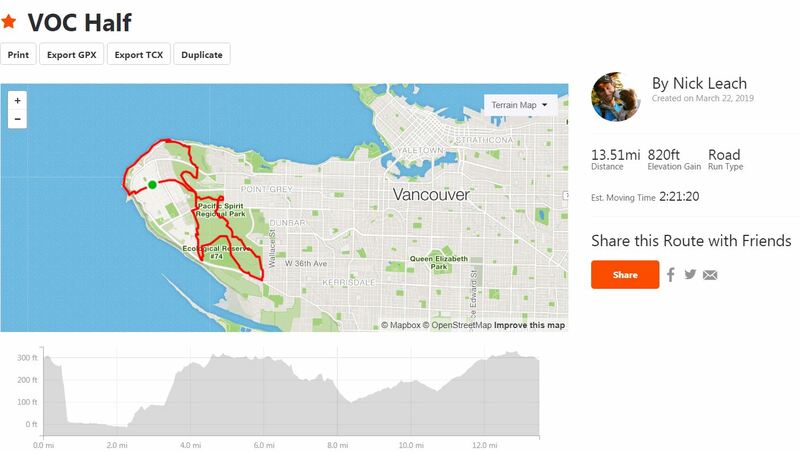 This entry was posted in Other, Trip Reports and tagged trail running; pacific spirit park; race. Bookmark the permalink.